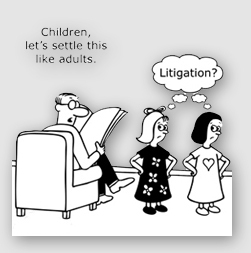 Posted on January 21, 2019 by treelawyer	tagged. 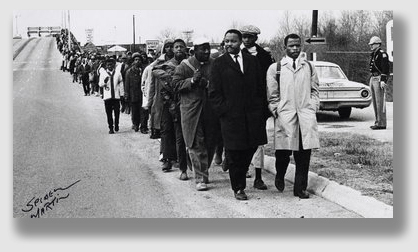 The courage shown by the Selma marchers over 50 years ago, as well as by countless others who, by acts large and small, defended the equality we now identify as a bedrock principle of our society and legal system, fortunately cannot be undone by knuckleheads like today’s plaintiff. For a country that was supposed to be sailing into a post-racial world after the election of President Obama in 2008, we’ve had a rough time of it recently. In race relations, 21st century-style, there is the deadly serious (such as Ferguson, Chicago, Cleveland and Charleston) – the merely reprehensible (a busload of drunk, rich white kids being stupid, callow and mean, all at the same time) – the head-scratching (trees can be racist? ), and a President who is or is not racist, depending on your political viewpoint. That last issue, and exactly how he may have referred to the governance and economics of Haiti, El Salvador and some countries in Africa, are a suitable launching point for a trip into the absurd. The absurd is something we’ll look at today, on Dr. Martin Luther King’s birthday commemoration. Sigmund Freud was famously but questionably credited with having said “sometimes a cigar is just a cigar.” In today’s case, a matter of trespass to trees was somehow recast into a federal civil rights action by the plaintiff, who was a man with a litany of offenses committed against his ancestors which he wanted to redress. Mr. Brewer apparently trespassed on Mr. Lance’s property and removed three trees. Rather than an appropriate trespass to trees action (with a request for treble damages) in South Carolina courts, Mr. Lance went for broke, suing Mr. Brewer for violation of his civil rights under 42 U.S.C. § 1983. A § 1983 action is a powerful one, authorizing a federal court action to be brought against persons who, under color of state law, deprive another of his civil rights. It has been used against those who discriminate in housing, police officers who wrongly beat suspects, employment discrimination, and even in zoning decisions. Destruction was something the federal court was willing to risk, holding that no matter how it tried to construe Mr. Lance’s complaint, there just wasn’t a civil rights violation alleged. Of course, he was free to pursue his complaint in state court, and we assume he did so. Lance v. Brewer, Slip Copy, 2007 U.S. Dist. LEXIS 30247, 2007 WL 1219636 (D.S.C., Apr. 24, 2007). In late 2005 Defendant Brewer cut down three large trees and other tree limbs on Plaintiff Lance’s property without permission. Lance asserted that Brewer, who ran a business named Don’s Scrap Metal and Iron, sold these trees for profit but that he and his relatives did not receive any profit. Lance alleged that Brewer told him the county gave him permission to cut down the trees, but according to Lance, a county employee told him that the Brewer did not have permission to cut down the trees. In addition to these claims, Lance argued that Brewer’s grandfather purchased the property adjoining his property forty to fifty years ago by “fooling” Lance’s cousin into selling 20 acres of river-front property for $200.00. Lance alleges Brewer’s actions constitute racism and discrimination under 42 U.S.C § 1983, and he seeks $85,000.00 on behalf of the heirs of his cousin, Willie Lance. A U.S. Magistrate Judge recommended that Lance’s claim be dismissed. Lance disagreed, and sought rejection of the Report & Recommendation. 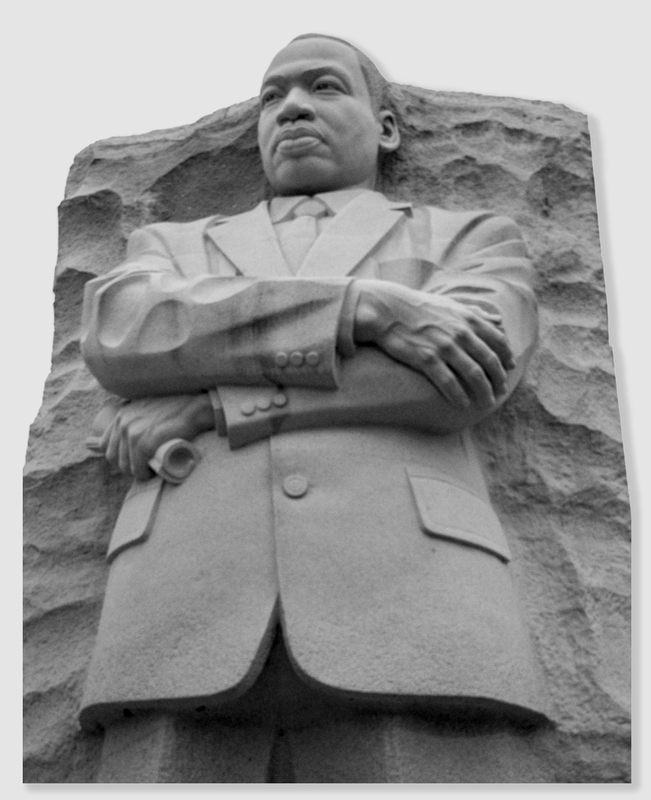 Dr. King stood for equality and justice… not nonsense. Held: Lance’s tree-cutting-as-civil-rights case was dismissed. The Court observed that the Plaintiff had objected to Report and Recommendation, because “GOD ALMIGHTY does not like what you Racist people are doing, and GOD will show it very soon by punishment, and Destruction. The United States Court has Federal Jurisdiction, because this is a Civil Rights Violation.” The Court said, “[t]he Plaintiff’s unsubstantiated statement that the Court has federal jurisdiction because this is a civil rights violation does not change the fact that even liberally construing the Plaintiff’s complaint, it fails to state a claim for a federal civil rights violation.” Here, Brewer is a private individual. What’s more, Lance tried to state a claim pursuant to § 1981. The Court held that Lance has failed to allege an essential element of a § 1981 claim, that there is a contract or property law right enjoyed by white citizens but not by the Plaintiff, who is black. The Court concluded that, tree or no tree, no federal question was raised by Lance’s claim, and thus jurisdiction did not exist.